Does your child spend more time than you would like playing video games? If so, you’ll enjoy this episode that shares alternatives to video games. I’ve barely scratched the surface of video game alternatives. 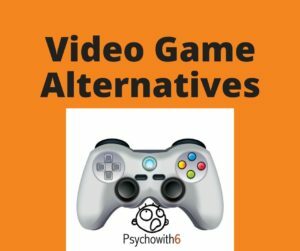 I did some research to create a list of 50 alternatives to video games. I can’t wait to go over the ideas with my son. When you subscribe to the Sanity Savers newsletter, you’ll receive this list. Which alternatives will you choose for your child first? Let’s chat about it on Facebook.